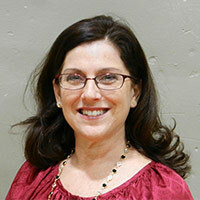 Sarah T. M. An (Soprano) has been a member of the WVC since 2009. She studied oboe and voice at a music magnet high school in Philadelphia and sang in the Choral Society at the University of Pennsylvania, where she also earned degrees in Communications and Marketing, and Sociology. Sarah works in Development at Housing Works, is Vice-President of the West Village Chorale’s Board of Directors, and is a volunteer at the Museum of Modern Art. While not singing, fundraising, or volunteering, she enjoys her wonderful husband, friends, biking, knitting (knitista.etsy.com), cooking, peanut butter, and her amazing dog Gustav Mahler Klimt. 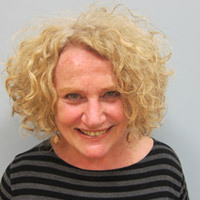 Kathy Armitage (Alto). I became addicted to choral singing in junior high, sang in four high school groups (from 9 to 65 voices) and still sing with the Richmond Choral Society and RCS Chamber Ensemble in Staten Island. I joined WVC in 2006 when I worked in the neighborhood and couldn’t bear to give it up even after I landed a new job in Brooklyn! Steve Bizzell (Tenor) has been singing with the WVC since 2003. He has sung with the Cathedral of the Assumption in Louisville, Kentucky and in NYC with the choir at St. Ignatius Loyola and the Dessoff Symphonic Choir. Steve is a periodontist and lives in Chinatown. 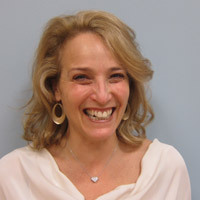 Renee Cafiero (Alto). I have been singing since I was a teenager, in various and sundry choruses and small opera companies, most notably recently the Stonewall Chorale. In real life I’m a copyeditor in children’s books. I’m active in Brooklyn and LGBT politics as well as in my union. But my only regular physical activity is table tennis. Wei-Ting Duo (Soprano) is excited to join WVC for the first year! Born in Taiwan where she began singing in her elementary school choir, she has pursued her love of singing through her years at Carnegie Mellon University, enthusiastically joining their vocal ensemble. She enjoys a range of genres from classical to contemporary (and has a special appreciation for Disney soundtracks). Today, she continues to join choirs as often as possible in New York where, professionally, she is a CG artist who specializes in 3D animations for TV commercials within a post-production/VFX studio. 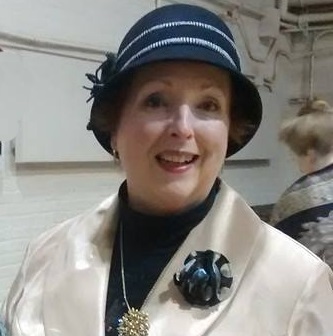 Marguerite Easterbrook (Soprano) has been a member of WVC since 2012. 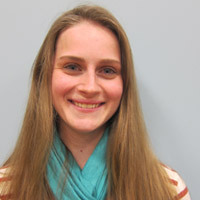 She is a classically trained dancer who has a passion for all things musical, and graduated from Dickinson College with degrees in Archaeology and Classical Studies. She currently works as a Client Relations Manager for Corporate Resource Services, has choreographed a contemporary ballet inspired by the Egyptian Book of the Dead, and is a total nerd—“Doctor Who” enthusiast and “Game of Thrones” fanatic. 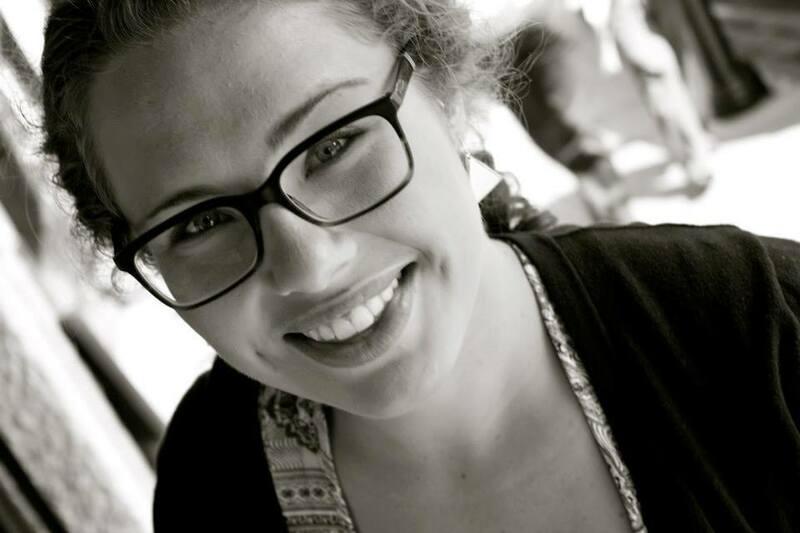 Katie FitzGerald (Soprano) has been with the Chorale since 2012. After singing in chorales through high school and college (Binghamton), she also sings with the choir of Sts. John and Paul R.C. church in Larchmont and the Festival Chorus of Rye Country Day School. A recovering English major, Katie has spent her career in the financial services industry (where else?) as a client service director for a wealth management firm. Katie is also a Sacred Harp (shape-note) singer and an avid baker and cook. 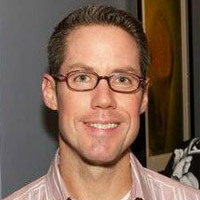 Davis Foulger (Tenor) returned to amateur musical performance in 2001 after a long hiatus in which he was occupied with raising a family (including a now professional musician) while pursuing a career that has jumped octaves from statistician to professor to journalist to programmer and systems architect and finally back to semi-professor. 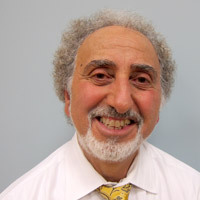 He teaches communication theory and practice, primarily at Brooklyn College, where he has been known to impromptu sing portions of his lectures where it fits the need (and helps keep students engaged, if only with the thought “who is this crazy professor and why is he scoring his lecture notes”). His principal research interests are in new media theory, where he studies, and writes about the ways in which we invent and evolve new communication media. This is his first season with the West Village Chorale, but he has performed with several other orchestras (Viola) and choruses (including the Hudson Chorale) in recent years. Grace Goodman (Alto) has been singing with WVC since January 1999; she has sung in one chorus or another since junior high school. Grace retired from her career as a lawyer in the NYC Law Department a few years ago, but keeps as busy as ever with volunteer activities, especially at WVC’s home site, Judson Memorial Church, where she does grant-writing and program administration and sings in Michael Conley’s Judson Choir. Ellen Gottlieb (Soprano). I sell real estate in the borough of Brooklyn and would be an opera singer if I had to do it all over again! John Herzfeld (Bass). “To borrow a line from the late, great Dan McCrary, I have been with the West Village Chorale longer than I’d care to admit,” says John, who still can’t come close to matching Dan’s three-plus decades in the bass section. 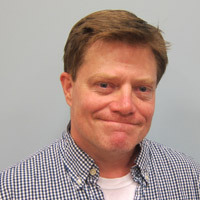 A graduate of Wesleyan University and Columbia Journalism School, John works for a private publisher based in Arlington, Va., and serves as the Chorale’s public relations director. 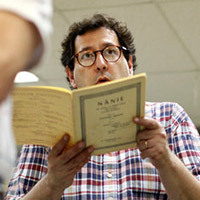 He also sings with the Dessoff Symphonic Choir, and has visited with Riverside Choral Society and Collegiate Chorale. John particularly likes having joined in the premieres of compositions by the Chorale’s music director, Michael Conley. “It’s great to feel the audience respond to a piece that has never been performed before,” he says. He’s also thankful for the guidance of WVC founder Gwen Gould and her immediate successor, Andrew Megill. John’s wife and their daughter, who was born in 1999, have come to almost all of his WVC concerts. Jenna Johnson (Soprano) has been happily participating in singing groups her entire life, starting with original tunes created on family road trips in a green woodie station wagon. The highlight of her singing career, though, was almost certainly a whistling duet she landed in 7th grade. Jenna is a book editor by day and enjoys tromping in the woods looking for mushrooms and making delicious food (though not from the mushrooms—yet). Susan Leicher (Alto) landed happily at WVC in 2005, after stints with the Collegium Musicum, New York Choral Society, Juilliard Chorale, and Collegiate Chorale. She works with nonprofits, foundations, and City agencies creating, evaluating, and channeling funding to social justice and arts programs. A born-and-bred New Yorker, she loves turning off all electronic devices, practicing yoga, and being with family and friends. Nicola Lewis (Soprano). A member of the choir since 2013, Nicola, a London native, has sung in choirs and school/university productions since childhood. She has recently published her YA novel about adventures in Italy – Ciao for Now – available on Amazon and all e-readers. 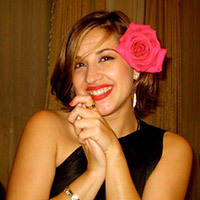 Christina Longo (Alto). Christina began singing in Rome, Italy where she lived for many years. 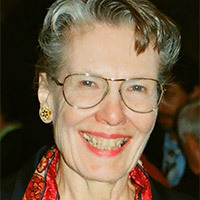 She returned to her native New York in 2000 and soon joined the West Village Chorale. 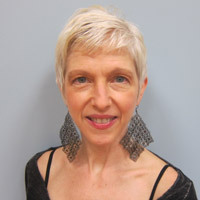 When not singing, she teaches Italian privately and taps into her art background guiding groups of children at the Metropolitan and Brooklyn Museums. 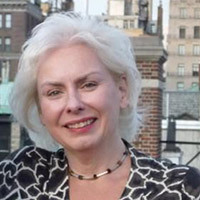 Maureen McCarthy (Soprano) joined WVC in 2002. She is a native New Yorker with degrees from Fordham and Yale in music, religious studies, and art history. 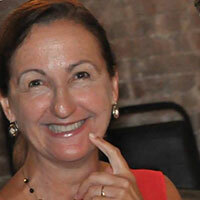 She has sung for many years with several NYC choirs including Ascension R.C. Church, Dessoff, and St. Ignatius Loyola Church. Maureen was Grants Administrator at the Rockefeller Family Fund for 23 years, and is now the Executive Assistant to a Director at Rockefeller & Co.
Juliet (Julie) Milhofer (Alto) has been singing with WVC since 2010. 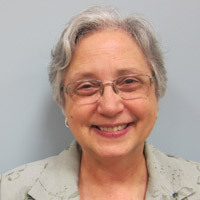 She recently completed her career as a Clinical Technologist supervising AIDS/virus serology testing at the NYC Dept. of Health and Mental Hygiene. 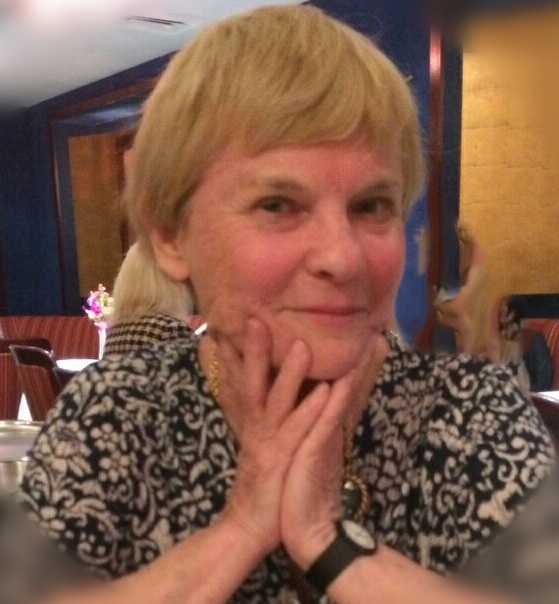 In addition to singing with the WVC and The Brearley Singers, Julie lives in Yonkers and enjoys gardening, dancing, painting, social networking, and traveling. Catherine Morrison (Alto) The atmosphere created and the community that is fostered in rehearsal reminds me I am part of something much larger than myself. Stepping into the space I am immersed in and fascinated by the beauty we create together. John Onderdonk (Tenor) started his love of music at the age of eight playing the trumpet and then singing in high school. He first sang with the high school all boys choir known as, “The Letterman”, which lead to school musical productions of Fiddler on the Roof, Oklahoma, and South Pacific. John took a hiatus from performing while in college, a career on Wall Street and marriage, otherwise known as the 80’s and 90’s, then was reintroduced to his love of music in 2002 through his 1 year old son and a small posting at the Greenwich Village Music School for auditions with the West Village Chorale. In each of the 10 seasons that John has sung with the chorale, they have been a source of challenging music and an ever growing circle of friends. Tuesday night is always a happy night. 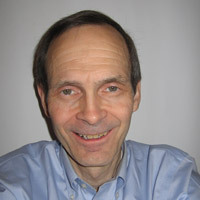 John has been a 20 year resident of Greenwich Village with his wife Olivia and son Max. 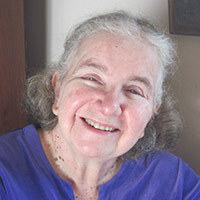 Marge Pfleiderer (Alto) has been happily singing with WVC forever, and ever. Hallelujah! 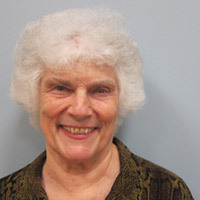 Marge has sung both alto and soprano while with WVC, and it has been the one constant through careers in woodworking, headhunting and office management. Katie Sanborn-Price (Soprano) joined WVC in 2009. Having considered herself an alto for many years, she has enjoyed discovering her inner soprano. Katie was born in Syracuse, NY and grew up in Princeton, NJ before moving to New York. She has sung in choirs since childhood, most recently with the choir at St. John the Divine Cathedral. 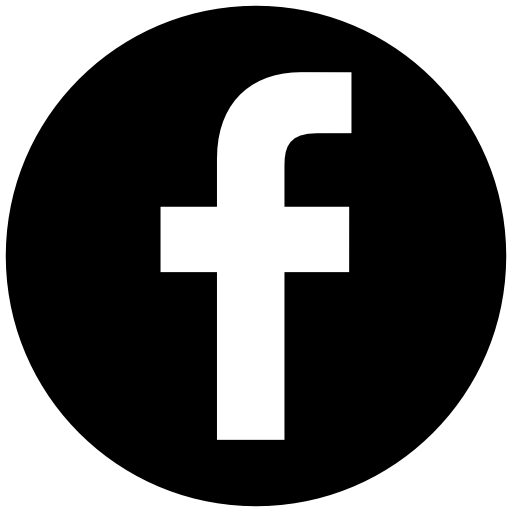 She recently launched her own business and website which focuses her creative talents on web and graphic design and small business support: Your Right Hand Design & Graphics, www.yourrighthanddesign.com. Edward Shiner (Tenor). I’ve been singing with the WVC for 21+ years; my first choral music experience. I have a B.S. degree in Music Education from Wilkes University in my hometown of Wilkes-Barre, PA and an M.M. 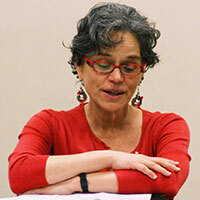 in Music History and Literature from Temple University. I studied piano from the age of nine through my undergraduate years; performed solo and two-piano works; accompanied instrumentalists and singers; and was a ballet pianist for ten years from high school through grad school. After teaching, I worked in a family candy business (10 years), then went to work for a non-profit Eastern Catholic organization (23 years) and for the last six years I’ve been Director of Alumni and Special Projects for Lebanese American University in their NY Office. I love to cook and feed people, especially our WVC “Family,” which has been an important part of my life since 1991. I’m especially happy to see so many new and young singers enjoying this wonderful group! 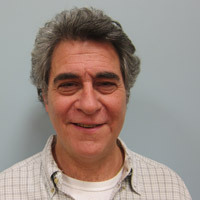 Loren Silber (alto). In high school Loren’s favorite subject was Chorale – the Ladue High School Chorale, that is. Though many other things in life have changed (graying hair, weight gain, evolving into an alto – finally!) choir remains her favorite subject and she has never missed a semester since 2002. Despite the fact that she earned a BA in theatre and an MFA in Musical Theatre earlier in life, Loren has worked as a Museum Educator for the past 15 years. She is presently employed at the Museum of Jewish Heritage – A Living Memorials to the Holocaust in Battery Park. Loren is also a yoga and M.E.L.T. instructor, a knitter, and a vintage collectibles enthusiast. 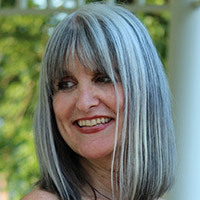 She would like to thank everyone in WVC for the chance each Tuesday to re-connect with her artist self and hang out with some totally fun and cool singer types! John Stout (Baritone) sang with the Chorale under Gwen Gould in the 1990’s, and again since the fall of 2012. In addition to singing baritone (and sometimes tenor), he serves on the Chorale’s “techie committee”. He has also sung with Dessoff, NY Choral Society, Greenwich Village Singers, and VLOG. 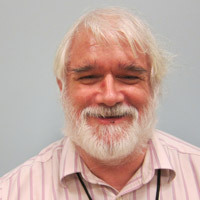 John retired in 2010 after a 43-year computer career. He does volunteer recording for the blind (etc.) at Learning Ally, and serves as a lector at two churches: Our Lady of Pompeii in Greenwich Village, and St. Francis of Assisi near Penn Station. Carolyn Swartz (Soprano) sang in five Messiah sings before gathering the courage to audition for the Chorale—ten or a hundred years ago. Other musical pursuits include trying to get through all thirty-one pages of Rhapsody in Blue. 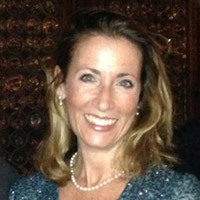 Carolyn is a creative strategist (www.helmmedia.com) who writes and directs videos for companies like HP, PwC, SAP, and J&J. She’s also on the faculty of NYU SPS. Her son Julian is in his final year of New England Conservatory of Music, where he is majoring in composition. Carolyn’s most notable recent achievement was getting married (July 29, 2014)—finally, to the right man. Like all good things in life: practice, practice, practice. Yes, you counted correctly. 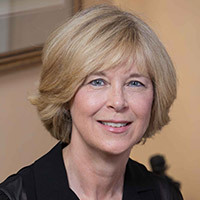 Joette (Jo) Warren (Alto) has sung with WVC since 2005; she also sings with The St. Cecilia Chorus (just now changing its name to The Cecilia Chorus of New York) since 1998; prior to 1998 she sang with two choruses upstate where she had a half-time home. 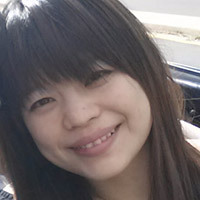 She is a psychologist, practicing full-time in New York City where since June she now delightedly also lives full-time. She has 3 children and 5 grandchildren…and one cat. Lewis Warshauer (Baritone). Lewis has sung with WVC since 2006. He started choral singing in high school and continued with the Columbia Glee Club, the Oratorio Society, the Capitol Hill Choral Society (DC) and Unity Temple choir (Kansas City). 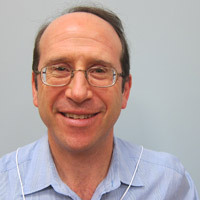 In his spare time, Lewis teaches Jewish studies courses for adult learners. Gail Williams (Soprano). Sang from time I was a tiny child. About age 10, got stage fright, nearly terminal, but did sing in high-school choir, terrified all the time. Got old; decided I was allowed to mess up; joined a Community Chorus; soon went nuts; got over myself and auditioned for WVC!